Actor Sam Waterston says he hopes lawmakers will take steps to conserve the waters of the Eastern Seaboard, calling it his “pet” project. The veteran actor and star on HBO’s “The Newsroom” was in Washington on Wednesday for Oceana’s Meet and Greet event, where members of the ocean conservation group met with lawmakers and supporters. “My pet thing, what I would like to happen in the United States would be to do sensible conservation and restoration of the Eastern Seaboard where I grew up,” Waterston, an Oceana board member, told The Hill. “I grew up next to the sea, and I was as shocked as anyone else when the cod disappeared from the Northeast, everywhere, which had been there for hundreds of years. They still haven’t come back,” he added. The event was held at Oceana’s D.C. headquarters. 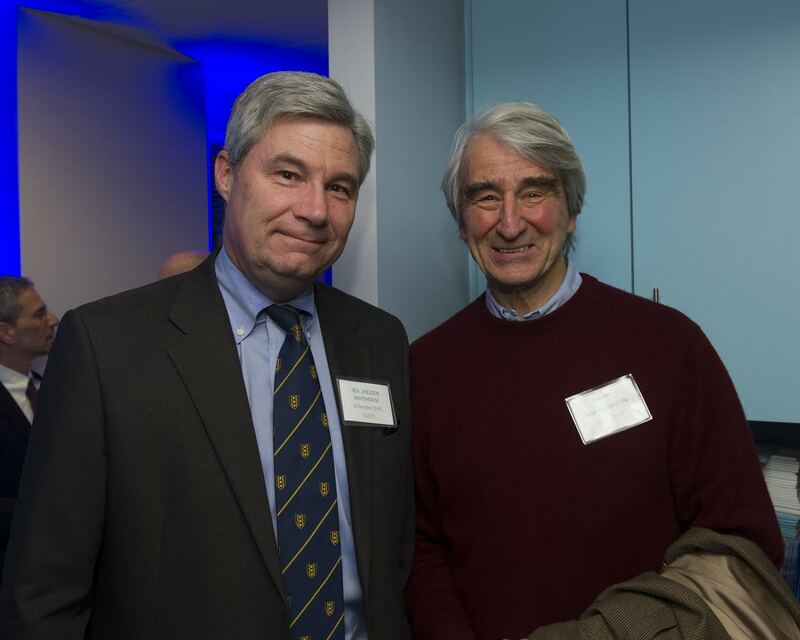 Among those in attendance was Sen. Sheldon Whitehouse (D-R.I.). The senator, who says he is a huge fan of “The Newsroom” chatted up Waterston, his fellow Ocean State native, and delivered remarks to the gathering. Whitehouse said the “big challenge” in addressing climate change and its effects on the ocean was swaying Republican lawmakers. “They’ve got to change. We’re on the right side of this issue; we’re on the right side of history,” he said. Waterston is currently rehearsing for a production of Shakespeare’s “The Tempest” that will be performed in June in New York City’s Central Park. The Hollywood star said he travels back and forth frequently to D.C. for Oceana’s board meetings. When in the area, he enjoys catching up with old friends and visiting his favorite spot in the city. “Well for years and years and years and years, anytime I was here, no matter what the weather was or what time of night, I would go to the Lincoln Memorial and read Lincoln’s two speeches that are carved on the wall, out loud. Whether there was anyone there or not, because I played Lincoln a few times,” Waterston explained.